Dentistry is essential to a person’s wellbeing. One has to have an outstanding immune system to overcome potential problems in the mouth such as mercury fillings, root canals, cavitations, and temporomandibular joint dysfunction. However, this does not mean that everything must be addressed in every patient. Patient education is vital, and treatment must be in concert with their desire for health, aesthetics, and function. Too often I see dentistry going through phases which I call the “All-Aboard Syndrome” dictated by insurance reimbursement, ways to increase productivity, and in all fairness, the desire of the dentist to do what they think is in the best interest of the patient. I too was not immune to this syndrome. After the army, when I entered private practice, I immersed myself for the next five years in the study of occlusion (the study of how the teeth and jaws come together) and full mouth rehabilitation. I learned that everyone needs “an ideal occlusion” and consequently when I had my mercury fillings removed, I had extensive gold restorations placed for the “perfect occlusion.” Today, knowing better, I could have achieved the same result with conservative composite restorations, which would have required removing much less tooth structure. However, back then, many of us were getting “all aboard” with the concept of ideal occlusion which required extensive dentistry. Another “all-aboard” phase is that almost everyone needs full mouth deep scalings (removal of tartar and tissue below the gum line) at a fee of $1500-$2000. Many courses are offered to increase your income with this approach. I believe this has come about because there is excellent insurance reimbursement for this procedure. I can’t tell you how many patients whom I have seen who were advised to have this procedure and when I examined them, the microscopic slide of their plaque was excellent, and they had no periodontal pockets. All they needed was routine prophylaxis and some home care instructions. In addition, another “All- Aboard” phase that is growing now involves mercury fillings. Patients are becoming more aware of the dangers of mercury in the mouth, and when patients ask their dentist about removing them they are told, “Sure, I can do that!” Here, are two problems: the dentist is completely ignorant on the subject and removes the mercury fillings without any precautions to protect the patient; or the dentist has some “training” in the safe removal and believes that as long as oxygen is administered, and a rubber dam used, all will be well. To safely remove mercury fillings, much more is involved. Removal of just mercury fillings is reducing the source of mercury, but then the other heavy metals and toxins – not just mercury – must be removed from the body. As a pioneer in this field, I feel that many holistic dentists become trapped in tunnel vision. 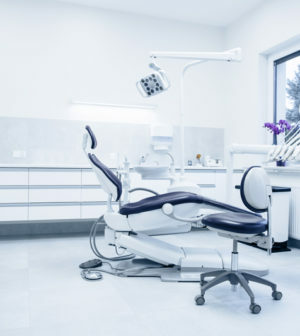 They think that that every health problem can be solved by removing all metals in the mouth, extracting every root canal, and performing cavitation surgeries in all four wisdom teeth areas, or other areas of cavitations. Root canals, cavitations, mercury fillings, and metals in the mouth are potential problems, but not all patients need all this treatment. An example of “holistic-tunnel vision” came with a call to my office from a woman in pain from a root canal tooth that was failing after two surgeries. Even while on antibiotics that pain was persistent. A holistic dentist told her that he couldn’t remove the root-canaled tooth until he removed all her mercury fillings. This statement is absurd – the woman was in pain, and the tooth needed extraction. Joining the “All-Aboard” crowd is Invisalign and courses for placing braces for only six months. These are great for straightening teeth and improving a smile. However, I worry about this because many of the patients that I have seen treated in this manner haven’t been made aware that they have a sleep-breathing problem or temporomandibular joint dysfunction. Other types of treatment would better serve these patients. I recently had a patient come in who has been having Invisalign treatment for the past 18 months. Esthetically, her teeth are nicely aligned. However, her 3D scan shows a very restricted airway. Additionally, she exhibits symptoms of a temporomandibular joint problem which is what brought her to my office. In her case, Invisalign was not the best course of treatment, and now she will need an additional 18 months of treatment to solve her problem. A relatively new “All- Aboard” phase is implants. Dentists are climbing on board at a rapid pace to learn how to place implants. The implant business is booming. Every missing tooth doesn’t need replacement with an implant. For instance, very rarely does a person miss their second molars (the ones in front of the wisdom teeth), yet I see implants placed here all the time. Placing a titanium implant, which is most common, is not necessarily best for the patient; ceramic implants are much more biocompatible. Most dentists are also clueless to the fact that they are placing the implants into an acupuncture meridian and this may cause health problems, or that the electrical currents generated with titanium may also be a problem. The most recent “All-Aboard” phase is Sleep Dentistry. Investigating sleep breathing problems is very important; many children and adults have this undiagnosed disorder. Concomitant health problems are numerous if there is a decrease in oxygen while sleeping. I have been studying this problem and attending courses almost every other month for the past year and a half. I feel that this is a crucial area of concern, however, I am worried when I see advertisements for courses that tout, “How to increase your practice $2,000,000 – insurance will cover this.” When I hear this “All-Aboard” call, I get nervous. The motivation needs to be what is best for the patient, not what is best for the bottom line. Please understand that I am not condemning dentists. For the most part, dentists go into dentistry to help people. However, the paradigm of dentistry being taught in dental schools and enforced by state dental boards and the American Dental Association is not compatible with a Whole-Body Dentistry paradigm. You only see what you know, and the powers that be have blindfolded most dentists. With everything that I have discussed, I feel that it is essential that you, the consumer, be aware of the dangers of dental overkill. As I stated, dental health is core to good health; however, dentists can cause more ill health than almost anything else when done excessively or improperly. No matter what aspect of dentistry that you are discussing, you must take your entire being into account. I feel that a whole-body and conservative approach is the best course of treatment. Mark A. Breiner, DDS is a Fellow of the Academy of General Dentistry, a past-president and Fellow of the International Academy of Oral Medicine and Toxicology. A pioneer and recognized authority in the field of biological and holistic dentistry, Dr. Breiner is the author Whole-Body Dentistry: A Complete Guide to Understanding the Impact of Dentistry on Total Health. His book is a comprehensive and easy-to-understand guide that explains the vital relationship between your mouth and your health. Dr. Breiner maintains a dental practice in Fairfield, CT. Visit: www.wholebodydentistry.com or call 203-371-0300.